I’ve long held the philosophy that swear words – like all words – are just words. By this ‘just a word’ philosophy sh*t is as profane as cat. Yet, I don’t say ‘cat’ when I drop a cup or trap my finger in the drawer or stub my toe. 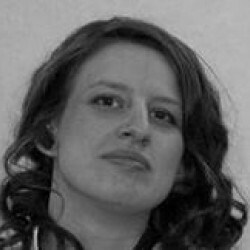 So, can the ‘just a word’ philosophy stick? This seemed like the perfect book to help me find out. 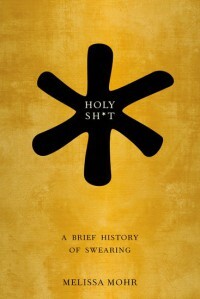 This is really an absolutely fascinating look at the history of swearing – the obscenities and the oaths – and I was incredibly impressed by the depth of research that has clearly been undertaken. Mohr looks at the differences between swearing (obscenely) and swearing an oath, how these arose and the history of certain words. Unsurprisingly, some words that we find offensive now were considered perfectly acceptable previously, yet some words that we use commonly would have caused an 18th century girl to blush. My conclusion upon finishing Holy Sh*t was that my ‘just a word’ philosophy kind of sticks. If it didn’t, how could the insult of this generation be the tame slang of the next? What makes an obscenity obscene (to me) seems to be less about language and more about tone, expression and body language. It’s also about knowing what will impact, however. In that respect, it has to be more than just a word. Mohr shows that swearing is very much an evolving aspect of language and behaviour, constantly shaped and revised by our culture and history. If you love language, culture or history, this is an excellent read with some real surprises in store.